Our 33rd Annual Fall Conference on High Risk Obstetrics is designed for physicians, certified nurse midwives, nurse practitioners, PAs, nurses, and other healthcare professionals who face challenges in the care of the high risk pregnant patient. The goal of this conference is to increase knowledge and enhance the competence of attendees. Emphasis will be placed on practical application of the evidence-based topics presented. Topics for this year’s conference have been selected based on the educational needs determined from the identified professional practice gaps. The gaps were derived from a variety of sources including evaluations and outcomes data from past participants; clinical expert input; Symposia Medicus’ online survey; and other medical and nursing data. 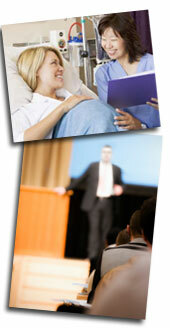 Conference format will include didactic lectures, case studies, and question and answer sessions. An outstanding faculty has been assembled for this conference. Each member was selected based on their individual area of expertise and ability to communicate current, evidence-based, and practical information to participants. You are sure to enjoy our 33rd Annual Fall Conference on High Risk Obstetrics while sharing ideas and experiences with colleagues from across the country in the exciting setting of Washington, DC. At the conclusion of attending this conference, participants are entitled to a certificate of credit which will be available online. Successful completion of this activity is determined by attending the live activity, review of the educational session materials, and submission of the case studies test, surveys, and attendance verification form. Each participant should only claim credit commensurate with the extent of their participation in the activity. This educational activity was planned and produced in accordance with the ACCME and ANCC Essentials and Standards relating to continuing medical and nursing education. Symposia Medicus is accredited by the Accreditation Council for Continuing Medical Education (ACCME) to provide continuing medical education for physicians. Symposia Medicus is accredited as a provider of continuing nursing education by the American Nurses Credentialing Center’s Commission on Accreditation. Symposia Medicus designates this live activity for a maximum of 19 AMA PRA Category 1 Credits™. Physicians should claim only the credit commensurate with the extent of their participation in the activity. The American College of Obstetricians and Gynecologists has assigned up to 19 cognate credits to this program. The American Midwifery Certification Board (AMCB) accepts Category 1 CME approval from organizations accredited by the ACCME. NCCPA accepts certificates of participation for educational activities certified for AMA PRA Category 1 Credit™ from organizations accredited by ACCME or a recognized state medical society. PAs may receive a maximum of 19 hours of Category 1 credit for completing this program. The ANCC contact hours awarded for completion of this conference are 19. Provider is also approved by the California Board of Registered Nursing, Provider #CEP2335, for 22.8 contact hours. A maximum of 2.75 hours in pharmacology content for prescriptive authority may be earned by attending this educational conference. Sessions awarding pharmacology content for prescriptive authority are denoted with an Rx in the schedule. Please contact your state’s Board of Nursing for specific educational requirements as requirements may vary state to state. Each registrant will have online access to session materials. The session materials will be available for download approximately two weeks prior to the conference (you’ll receive an email with instructions). If you wish to receive a hard copy of the session materials, please check the box on the registration form in this brochure. If you are unable to attend this conference, extra copies of the session materials (either paper, flash drive, or digital copy) will be available one week after the conference. The cost is $65 for a hard copy, $30 for a flash drive, and $25 for the digital copy. To place your order, please email publications@symposiamedicus.org. To receive additional information about the conference hotel, location, tours and/or nearby attractions, and ground transportation, please visit our website atwww.symposiamedicus.org. Consistent with ACCME and ANCC guidelines, it is the policy of Symposia Medicus to ensure balance, independence, objectivity, and scientific rigor in all educational activities. Prior to the planning of this educational activity, all individuals in a position to influence and/or control the content of continuing education activities have been asked to disclose all relevant financial relationships within the past 12 months. Beyond disclosure of relevant financial relationships, faculty are required to disclose when they plan to discuss pharmaceuticals and/or medical devices that are not approved by the FDA and/or medical or surgical procedures that involve an unapproved or “off-label” use of an approved device or pharmaceutical. Symposia Medicus is committed to providing learners with commercially unbiased continuing education activities. This information is intended to assist learners in forming their own judgments about the content presented. Disclosure information will be included in the session materials for this activity, and speakers will provide a slide disclosure for each presentation, and will also verbally disclose on-site. Washington, DC is rich with historic and fascinating sights. Known for its sweeping memorials, vast green centers, urban spaces, and majestic neoclassical architecture, there is so much to do in our nation’s capital! Spend time at the National Mall and visit the Lincoln Memorial, Washington Monument, US Capitol, and so much more. There is also a network of colorful neighborhoods, vibrant nightlife, and other noted museums and cultural attractions. It’s here that you can see the original Declaration of Independence and US Constitution, tour the White House, marvel at all the treasures at the Smithsonian and National Gallery of Art, dine in world-class restaurants, and take in an acclaimed theatre production. From downtown to Dupont Circle, the district’s neighborhoods delight visitors with walking tours, sidewalk cafés and quaint boutiques! Since 1930, the luxurious Omni Shoreham Hotel in Washington, DC has hosted presidents, world leaders and inaugural balls, making it a true landmark. Today, the hotel fuses modern comforts with distinguished service, creating a monumental experience for guests. The Omni Shoreham Hotel is an elegant urban retreat that boasts a resort atmosphere and a personal taste of politics, culture, art and music. The hotel is located in one of the area’s premier residential neighborhoods, just steps away from the National Zoo. After a long day of sightseeing, take advantage of the hotel’s spa services, dining options, and enticing outdoor heated pool. Enjoy cocktails and light fare from The Pool Bar while you unwind and take in the sunshine. Whatever your pleasure, you are sure to find it at our 33rd Annual Fall Conference on High Risk Obstetrics in Washington, DC. Enrollment for this conference is limited in order to provide the best possible learning environment. • By mail, make check payable to Symposia Medicus and send with registration form to 399 Taylor Blvd., Suite 201, Pleasant Hill, CA 94523-2287. Visit www.symposiamedicus.org or call (925) 969-1789 for additional questions or information. • Discounts are available for retired healthcare providers, active U.S. military, and groups of three or more. For more information, please contact Symposia Medicus prior to registering. Symposia Medicus has conference group rates at the Omni Shoreham Hotel in Washington, DC. These special rates will only be available until Tuesday, September 3, 2019 and will only be available after that date on a space and rate available basis. We recommend you reserve your lodging as soon as possible, as rooms at the conference group rates are limited and on a first come, first served basis. Rooms may sell out and/or room rates may increase prior to the release date. To make your reservations by phone, please call (800) 843-6664. You must refer to group name 1507 and/or High Risk Obstetrics to receive conference group rates. The conference group rates will also be available three days before and three days after the conference (based on availability) if you wish to extend your stay in Washington, DC. Deluxe Room $299/night Rooms are approximately 300 sq. ft., with an interior courtyard view and include a king or two queen beds, desk, refrigerator, coffee/tea maker, iron & ironing board, clock radio, flat-screen TV, marble bathroom with shower/tub combination, and hairdryer. Premier Room $339/night Rooms are approximately 300 sq. ft., with a Rock Creek Park or Woodley Park neighborhood view, and include a king or two queen beds, desk, refrigerator, coffee/tea maker, iron & ironing board, clock radio, flat-screen TV, marble bathroom with shower/tub combination, and hairdryer. $399/night Suites are approximately 513-589 sq. ft. and include a king or two queen beds. The sitting area includes a sofa bed and is separated from the bedroom by a wall partition. The suite features two flat-screen TVs, desk, refrigerator, coffee/tea maker, iron & ironing board, clock radio, marble bathroom with shower/tub combination, and hairdryer. By booking your lodging under the Symposia Medicus group code, you will receive complimentary internet access in-room and throughout the hotel. Premier Classic Suites and One Bedroom Suites are also available with our group rates. Please contact the hotel (see above) for more information and to book rooms. • All reservations must be guaranteed by a valid major credit card, which will be supplied at the time of reservation. Regardless of how reservations are made, failure to arrive on the scheduled arrival date will be considered a no-show and a charge of one night’s room and tax will be posted to the credit card on file (see below for hotel cancellation policy). Each guestroom must have at least one registered guest 21 years of age or older. • Rollaway beds are available at an additional cost of $25 per night (subject to availability and change). Rollaway beds are only allowed in king bedded rooms. • Check-in time is 3:00pm and check-out time is noon. A late check-out can only be confirmed on the date of departure by the front desk. Additional charges may apply for late check-outs and are based upon availability. • Early Departure Fee: Please notify the hotel at or before check-in if there are any changes to your confirmed departure date, as an early departure fee equal to one night’s room rate and tax will be charged to any guest who checks out prior to their confirmed departure date. • Credit/Debit Card Policy: Upon check-in, the hotel requires a credit card or debit card to ensure that funds are available. Holds are placed on your account for your entire stay, plus $100 per day for incidental charges; however, the amount may be immediately deducted from your account. The length of time for which these holds remain on your credit or debit account varies from bank to bank. • Parking: Valet parking is available for $55 per day with in/out privileges (subject to change). Self-parking is not available. • All cancellations must be emailed to registrar@symposiamedicus.org OR mailed to Symposia Medicus. If mailed, it must be postmarked by the date stated above. • In the unlikely event of conference cancellation by Symposia Medicus, full tuition and, if reservation was made with Symposia Medicus, hotel deposit refunds will be made. Symposia Medicus will not be responsible for refunding travel or any other expenses. The closest airport to the Omni Shoreham Hotel is the Ronald Reagan Washington National Airport (DCA) which is approximately 8 miles from the hotel. The Washington Dulles International Airport (IAD) is approximately 29 miles, and the Baltimore-Washington International Airport (BWI) is approximately 40 miles from the hotel. For information on ground transportation, please visit our website. Symposia Medicus has arranged for discount fares with Alaska, Delta, and United airlines for this conference. Reservations can be made either through your travel agency or through the airlines at the website or Convention Desk numbers listed below. In order to receive the discounted rate, you or your travel agent must refer to the Symposia Medicus Group ID number listed here. Alaska Airlines For discounts on Alaska Airlines flights, please book online at www.alaskaair.com and click on the link “Use Discount Code,” located at the bottom of the “Book Flights” box. Once you click on this link, another page will appear. On this page, you will need to insert ECMC133 in the “Discount Code” box, located at the right-hand side of the page. Delta Airlines For discounts on Delta Airlines, please visit www.delta.com and click on the link “Advanced Search,” located at the bottom of the “Book a Trip” box. Once you click on this link, another page will appear. On this page, you will need to insert NMS74 in the “Meeting Event Code” box, located at the right hand side of the page. For questions, please call the Delta Airlines Convention Desk at (800) 328-1111. United Airlines For discounts on United Airlines, please visit www.united.com and click on All Search Options, located on the bottom left corner of the “Book Travel” box. Once you click on this link, another page will appear. At the bottom of this page, you will insert ZFMB292493 in the “Promotions and Certificates” box. For questions, please call the United Airlines Convention Desk at (800) 426-1122.